To view the complete PDF of this story, click here. Menards is a big-box enigma in the U.S. home improvement industry. 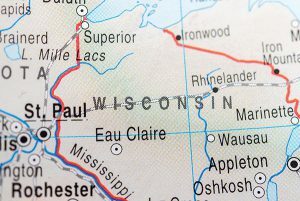 Older than Home Depot and smaller than both Home Depot and Lowe’s, the Wisconsin company has stayed quietly regional and privately owned for more than 50 years and counting. At the same time, the bold lettering on Menards-sponsored race cars, the iconic “Save Big Money” jingle, and the founder’s reputation are not quiet. Founder John Menard cannot avoid public scrutiny, as he lands on Forbes’ annual list of American billionaires year after year and appears at NASCAR races to watch his race car driver son, Paul. But, as a private company, the third-largest home improvement retailer in the U.S. does not release financial information, unlike its publicly traded competitors and independent cooperatives such as Ace Hardware and True Value. In addition, Menards’ leadership has mostly avoided requests for media interviews and closely controls information the company releases. Hardware Retailing has been among the media outlets that have contacted the company for more information without receiving a response. A comprehensive look at how Menards operates is difficult to get, and people who haven’t worked in executive roles within the company know little about it. Because few public documents are available and Menards did not provide interviews, Hardware Retailing writers compiled information from existing research and approached retail industry observers for added insight. Read on to find the results of their work in a 360-degree look at the company. the way businesses buy, sell and transport products worldwide. Target became a national company known for its trendy products and strategic business partnerships with fashion designers and companies such as Starbucks. Both general merchandise retailers went on to become public companies with stockholders around the world. Throughout the nearly 50-year boom of discount retailers and home improvement competitors, Menard kept his business closer to the vest. He maintained controlling ownership, and as a result, kept the independence of growing and experimenting with retail concepts in relative privacy. Home Depot and Lowe’s would later adopt similar distribution strategies, and a Forbes analyst speculates that the companies were inspired by Menards to implement similar methods in their businesses. his hometown of Eau Claire, Wisconsin. 1962: Big-Box Boom—Menard incorporates3 the company in Eau Claire the same year Walmart1 and Target2 open their first retail stores. 1964: Retail Outlet—The first Menards retail location, called Menard Cashway Lumber at the time, opens in Eau Claire. 1969: New Ventures—Menards launches its truss plant, which became Menards Building Division and manufactured building materials, such as siding. 1990s: Growth and Change—Menards doubles its store count throughout this period. The company sells Menards Building Division in 1994. The source for the timeline entries is Menards.com, unless noted otherwise. The story of Menards is incomplete without a short biography of founder John Menard, who not only built the company, but has also directed its course for decades. Born in 1940, Menard was the oldest of eight children and “learned the value of hard work and frugality” while doing chores on his parents’ dairy farm in Wisconsin, Mary Van de Kamp Nohl writes in Milwaukee Magazine. Also like Walton, he is willing to try selling a broad array of products in his stores, including groceries, diapers and toys, alongside traditional home improvement departments such as electrical supplies and lumber and building materials. In a 2013 article, Forbes reports that Menard told the magazine he no longer runs his retail chain. However, “insiders say he still oversees the smallest details, from the material for store parking lots to answering company mail,” Forbes says. The company employs an estimated 45,000 workers,7 and the National Retail Federation estimates the company pulled in $10.7 billion in sales during fiscal year 2016. That estimate is about $84 billion less in 2016 sales than Home Depot reported and about $54 billion less than Lowe’s. $6.4 million less per store than Home Depot, and $4.6 million more per store than Lowe’s. Big-box retailers like Target, Walmart and Lowe’s have been rolling out small-format versions of their stores. However, Menards has expanded into more locations throughout the Midwest with buildings that are larger in size than their predecessors and retail competitors, too. In 2011, Menards debuted its remodeled Eden Prairie, Minnesota, store, which was a 235,000-square-foot, two-story operation, according to a 2012 article in the Minneapolis Star Tribune newspaper. While some companies wouldn’t want to close up shop to remodel a massive building, Menards has done that in many situations. The company can likely do so because of its private ownership.14 Menards has the flexibility to make changes without reporting to a massive number of stockholders. In addition to expanding salesfloors in many of its existing stores and new locations, Menards has also made a name for itself with its eclectic mix of merchandise. Customers can expect to find everything from standard hardware tools and gardening equipment to groceries and furniture. The company has gained a reputation similar to Walmart, reassuring its customers they can “Save big money at Menards,” as their iconic jingle says. One method Menards has for bringing in repeat customers is its strong rebate program, which offers store credit instead of cash. 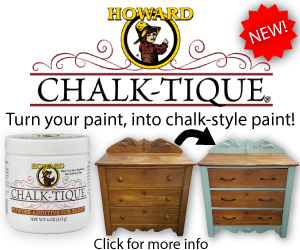 Menards has built a reputation as the destination for low-priced home improvement goods. The company’s rebate program draws customers back to stores, as its policy of giving in-store credit instead of cash pays off.14 This approach inspires customer loyalty, as they return to use their credit in the store and spend more money in the process. Menards demands low prices from its suppliers to keep its low-price promise to its customers. On top of working with brands to get deals on merchandise, the company also keeps prices low by manufacturing many of its building materials, which include doors, roofing and siding. In December, the Leader-Telegram in Eau Claire reported on the company’s plans for a new warehouse run by machines. Menards “plans to build a 121,700-square-foot warehouse with a 60-foot-tall automated system that will organize merchandise and process orders,” the Leader-Telegram reports. “The robotic warehouse allows the company not only to speed delivery time but also cut costs and keep prices low,” Abbott says in the newspaper article. In addition to manufacturing projects and distribution enhancements, Menards continues to open stores throughout its current service area. In March, John Menard joined Tom Kelley, president of Kelley Automotive Group, in Fort Wayne, Indiana, to announce expansion plans for Kelley’s business and Menards. While founder John Menard has created a company from the ground up, and in turn has become the wealthiest person in the state of Wisconsin, his rise to success has come with scrutiny for him and his business. 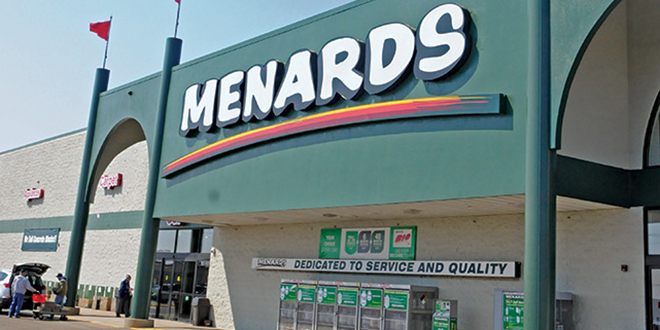 Lawsuits followed, and by April 2016, the National Labor Relations Board found Menards guilty of violating multiple federal labor laws.18 The violations could impact the company’s relationship with all of its employees, the article says. In February, an Ohio law firm sued Menards “on behalf of workers who say they weren’t properly paid wages and overtime,” the Dayton Daily News reports. Broad Inventory. From plumbing and electrical supplies to sports drinks and plush dinosaur toys, Menards is known for its wide selection. In 2017, customer experience analysis firm Market Force Information surveyed 7,800 U.S. consumers to learn about shoppers’ opinions of home improvement stores. Menards scored highest in the merchandise variety and value category, topping Ace Hardware, Home Depot and Lowe’s. “Put your money where your house is.” Menards has also advertised on race cars, emblazoning its logo on Menards-sponsored vehicles and race team uniforms. An Affordable Reputation. Menards’ “Save Big Money” mantra and regularly advertised 11 percent discounts on products have helped the company establish itself as an affordable option against competitors, according to Anne Brouwer, retail consultant from the firm McMillan Doolittle. Business Diversity. In addition to its retail outlets, Menards operates subsidiary businesses, including Midwest Manufacturing, Menards Self Storage, Menards Transportation and Menards Real Estate. Mobile App Adoption. Menards, as a regional company, is a distant No. 3 behind national companies Home Depot and Lowe’s in many areas. For example, Market Force surveyed more than 7,800 Americans and learned that their usage of Menards’ mobile app lags behind use of apps from Lowe’s and Home Depot. The Menards app offers bar code scanning to learn more about products, in-store department maps and augmented reality to help customers visualize home renovation projects. Store-Branded Credit Card Use. Menards also trails its main competitors, Home Depot and Lowe’s, in the number of consumers using its store-branded credit card, the Market Force survey reveals. Among respondents, 25 percent used Lowe’s credit card, 21 percent used Home Depot’s and 7 percent use Menards’ store-branded credit card. “a regional player.” Because the retailer operates stores in only 14 U.S. states, many Americans do not have local access to Menards locations but can shop at the brick-and-mortar locations of the company’s largest big-box competitors all across the country. Unclear Trajectory. If founder John Menard is still the business’ majority shareholder and continues to provide close operational oversight, then the company’s future is highly dependent on an untested succession plan. Repurposing Vacant Stores. In January, U-Haul acquired a vacant Menards store in Indianapolis. U-Haul plans to renovate the building and use it as a self-storage facility, according to uhaul.com. Menards could continue to sell vacant stores to noncompetitors to earn money if stores close. Capitalizing on E-Commerce. Menards has the financial means to bolster its e-commerce offering in a way smaller retailers cannot. By investing more in e-commerce, the retailer could increasingly reach customers in locations where it does not physically operate brick-and-mortar locations. Investing in Technology. In 2017, Menards announced plans to build a new distribution center featuring a robotic system to speed up delivery times and cut operating costs. If effective, Menards could replicate its success by renovating existing distribution centers or building new facilities. Increasing Productivity per Store. Brouwer reports that while all Home Depot, Lowe’s and Menards locations are roughly the same size, Menards’ stores often earn less per store. By increasing productivity and sales at existing locations, Menards could close the gap. Adding Distribution Centers. Menards currently has at least 11 distribution centers. The retailer could add facilities where it does not currently have a brick-and-mortar presence to facilitate deliveries and better serve markets outside the company’s Midwest base. Distant Third. In 2017, The Home Depot scored $100 billion in fiscal year sales and Lowe’s earned $67 billion. The National Retail Federation estimated Menards saw $10.7 billion in sales in 2016. Menards is in a distant third place among the nation’s top three big-box home improvement centers, though it is 16 years older than Home Depot. Legal Entanglements. Both Menards the company and its president and CEO John Menard have faced several lawsuits over the years covering a wide range of issues, including environmental violations, wage theft and sexual harassment. These legal issues could potentially be costly both financially and in terms of the retailer’s public image among employees and customers. The Independent Sector. Independent operators, including businesses with Ace Hardware, Do it Best and True Value branding, run successful stores near many Menards locations, and often have reputations for better service and higher quality products. Unless other sources are cited, the opinions expressed in this SWOT analysis are based on market knowledge and research from the Hardware Retailing editorial team. 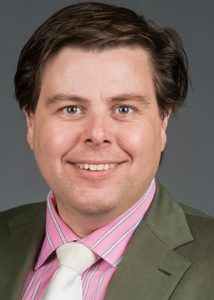 Thomas Kemp, Professor Chairman, University of Wisconsin-Eau Claire – Thomas Kemp, Ph.D., is a professor and chairman of the department of economics at the University of Wisconsin-Eau Claire. He has a doctorate in economics from Colorado State University. Hardware Retailing (HR): How would you describe the economic role Menards plays in Wisconsin? Thomas Kemp (TK): Menards is the dominant home improvement chain, certainly, here in Eau Claire. They’re also the single largest employer in the city employing around 3,000 people, so of course they have a huge economic impact on our local economy because of that. HR: Menards is one of the largest private companies in the U.S. How does that benefit Wisconsin? TK: I think it benefits the state because the control is local. 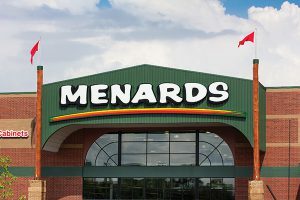 Because Menards is based here in Wisconsin, their interests are—to some extent—in line with the needs of the state, so I think that’s helpful locally. Their roots from the very beginning are closely tied to Wisconsin. HR: In your opinion, what are Menards’ greatest strengths as a company? TK: I think their greatest strength is being flexible in terms of their business plans. I’ve grown up with Menards my whole life, and they always seem to be in tune with what a community needs. If they notice that another retailer is doing something that they think they can do better, they go ahead and do that, even if it’s not totally central to their core mission of home improvement. For example, they generally carry a line of foodstuffs and that’s consistent with their broader business plan of offering relatively high-quality products at low prices. They’re very creative with product lines. 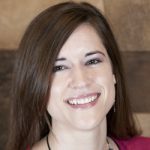 HR: What are Menards most effective growth strategies? TK: It seems to me that Menards is remarkably in tune with their particular value prospect. That’s likely the key to their success in terms of growing or maintaining profitability. That value prospect seems ridiculously simple, but it seems to work: Whatever they can provide at a competitive cost, whatever retail segment that is, they’ll pursue it. It’s known as a home improvement chain, but my family gets its laundry detergent and other household things from Menards more than any other store. HR: What benefits does Menards derive from being headquartered in Wisconsin? TK: They’ve been here since the beginning of the company, so they do have deep roots here. 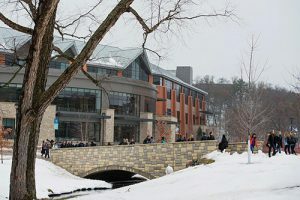 But generally in Wisconsin, they have access to a well-educated, low-cost workforce to draw from. Housing is very affordable here compared to other locations in the Midwest, which is likely another benefit. HR: What are some of the biggest challenges Menards has faced in its history? TK: Over the years, their challenges with various regulatory agencies have probably been difficult. Menards is pretty tight-lipped about their internal practices and lots of other things. As a private company, they don’t have to disclose much and by and large, they don’t. HR: What opportunities and challenges do you see for Menards in the future? TK: I think their willingness to offer products that aren’t traditional for a home improvement chain will increasingly serve them well over time. 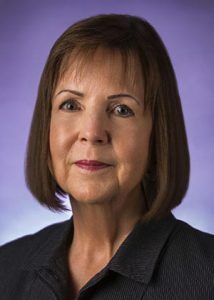 Anne Brouwer, Senior Partner, McMillan Doolittle – Anne Brouwer, Wisconsin-based senior partner at retail consulting firm McMillan Doolittle, offers her perspective on Menards. 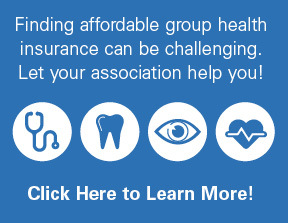 Brouwer serves on the National Retail Federation Associate Member Council and belongs to other retail organizations. Hardware Retailing (HR): Can you describe the average Menards consumer? Anne Brouwer (AB): In general, I would say their customer is probably not too different from those of Home Depot and Lowe’s. Menards’ customers are often looking for a lot of the same products and services. There are a number of markets where these stores overlap, and in those markets, a Menards’ customer might be slightly more price-sensitive. HR: What is Menards’ position among its major competitors? AB: When you talk about Menards, they’re clearly No. 3 after Home Depot and Lowe’s. But they’re a regional player and often about one-tenth of the overall size of these major competitors in terms of earnings. There’s a significant difference in the productivity among these three companies. 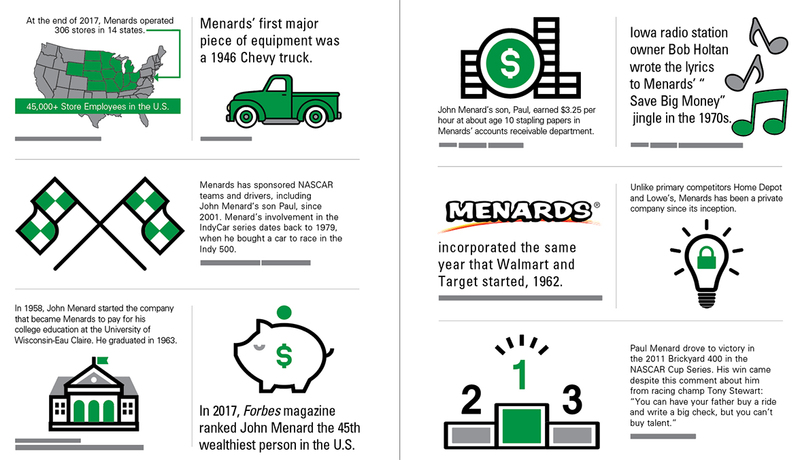 Most of these companies have 200,000-square-foot stores, but Menards brings in $10 to $12 million less per store. HR: What opportunities can Menards capitalize on in the coming years? AB: One of their biggest opportunities is to look at how to increase the productivity of each store, rather than building new stores, which is costly. I think Menards’ opportunities fall into three main areas. One is improving operational excellence, which starts with recruiting and training the right kind of people with the right kind of skills. It includes improving their processes, in-store and beyond, and it includes their ability to solve problems and deliver a satisfactory solution to customers. Another area is in information and data management. That involves an underlying combination of systems and analytics and access to accurate, timely information. The third area is culture. Menards has a reputation for not necessarily always being a happy place to work or a satisfying place for customers, particularly post-purchase. These challenges are not unique to Menards; many retailers need continuous improvement in these areas. HR: Can you discuss Menards’ e-commerce presence compared to Amazon and direct competitors Home Depot and Lowe’s? AB: I think you could argue that they’re lagging behind in that area. This is clearly one area that represents an opportunity for them. 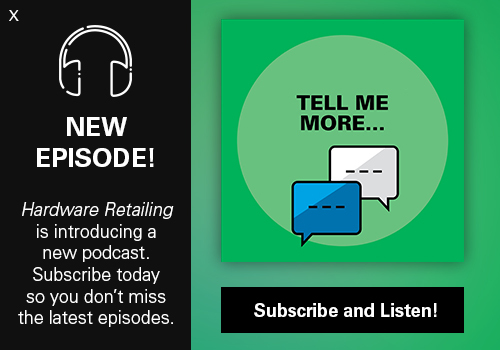 It’s an area that’s tough for all retailers, not just Menards, because so much is changing so quickly, and the consumers are often far out in front of a retailer’s current capabilities. It’s a huge investment of resources. It’s time, money, skills and access to the right solutions. HR: You’ve called Menards a “regional player.” What benefits come from sticking to certain regions as opposed to expanding? AB: It takes huge investments to open new stores. Unless you have a model that gives you a break-even and return on investment, new stores can sometimes give you a temporary boost, but not always a sustainable long-term model. In the last few decades, lots of retailers expanded too quickly and now have too many stores, leaving them needing to shrink their retail footprint because they need to invest in other touch points to match customers’ needs. The second advantage of staying regional should be to more deeply understand their trade area and tailor their products and services to meet that demand. They should, theoretically, be able to outmaneuver national chains that might not be able to understand or capitalize on differences between regions. If you look at home improvement, we already have two very strong national players and strong independent competitors and local specialists like lumberyards and plumbing, kitchen and lighting product suppliers. You have to ask whether there really is room for a third national player in these markets. There may be opportunities in mid-size markets for companies like Menards, where Home Depot and Lowe’s would never invest. HR: What value does Menards derive from being a private company? 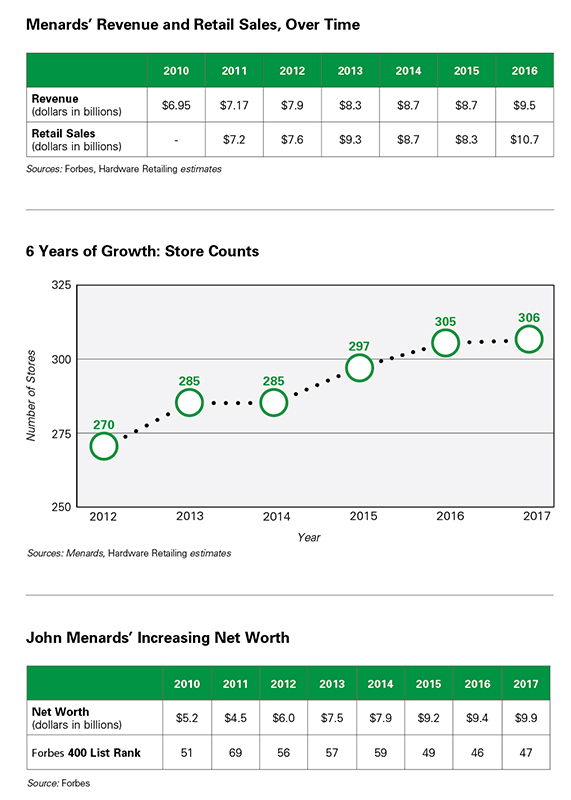 AB: Menards has a lot more leeway to run with different kinds of margins, operating profits and net profits than a public company that’s constantly being hammered by the markets and challenged by analysts who expect faster growth and higher profits.